The New Millennium Program's (NMP) Earth Observing 1 (EO-1) flight, managed by NASA's Goddard Space Flight Center (GSFC), has validated revolutionary technologies contributing to the reduction in cost and increased capabilities for future land imaging missions. Three revolutionary land imaging instruments on EO-1 are collecting multispectral and hyperspectral scenes over the course of its mission in coordination with the Enhanced Thematic Mapper (ETM+) on Landsat 7. Breakthrough technologies in lightweight materials, high performance integrated detector arrays and precision spectrometers have been demonstrated in these instruments. Detailed comparisons of the EO-1 and ETM+ images have been carried out to validate these instruments for follow-on missions. 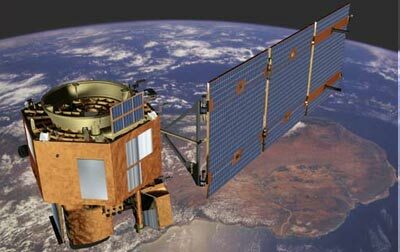 Each of the three instruments, being flown on the EO-1 spacecraft, incorporates revolutionary land imaging technologies which will enable future Landsat and Earth observing missions to more accurately classify and map land utilization globally. Advanced Land Imager (ALI) provides image data from ten spectral bands (band designations). The instrument operates in a pushbroom fashion, with a spatial resolution of 30 meters for the multispectral bands and 10 meters for the panchromatic band. The standard scene width is 37 kilometers. Standard scene length is 42 kilometers, with an optional increased scene length of 185 kilometers. Hyperion collects 220 unique spectral channels ranging from 0.357 to 2.576 micrometers with a 10-nm bandwidth. The instrument operates in a pushbroom fashion, with a spatial resolution of 30 meters for all bands. The standard scene width is 7.7 kilometers. Standard scene length is 42 kilometers, with an optional increased scene length of 185 kilometers. Linear Etalon Imaging Spectrometer Array (LEISA) Atmospheric Corrector (LAC) provided the first space-based test of an on-board Atmospheric Corrector (AC) for increasing the accuracy of surface reflectance estimates. This data is no longer being acquired as part of the EO-1 Extended Mission. Seven crosscutting technologies which will reduce the cost, mass and complexity of future Earth observing spacecraft have been demonstrated by EO-1 and will allow more scientific payload to fly on future missions. The EO-1 spacecraft bus is being provided through a contract with Swales Aerospace, with Northrop Grumman as the key avionics subcontractor. Swales, as the prime contractor, is responsible for total integration of the EO-1 observatory. The spacecraft also hosted the ST-6ASE (Autonomous Sciencecraft Experiment) experiment for the New Millennium Program, which was a software upload. EO 1 was deactivated 30 March 2017 after 17 years of service. It is expected to reenter the atmosphere around 2056.